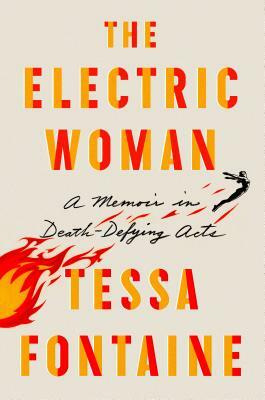 Tessa Fontaine’s astonishing memoir of pushing past fear, The Electric Woman, follows the author on a life-affirming journey of loss and self-discovery—through her time on the road with the last traveling American sideshow and her relationship with an adventurous, spirited mother. "Honest and emotionally vulnerable . . . In this memoir that seamlessly balances grief, loss and wild-eyed determination, Fontaine makes a compelling case for using fear as an unexpected gift." "Fascinating . . . This remarkable, beautifully written memoir explores the depth of mother-daughter love and the courageous acts of overcoming fear and accepting change." "Fontaine smashes together two distinct memoirs, one focused on grieving her mother’s prolonged illness and death, the other her unlikely, brave’n’crazy season as a small-time carnival performer . . . As exciting as the snake handling, card tricks, and “secret rituals” of the carnival’s insides are, it is the grinding journey of mom-grief that will resonate with readers . . . Take a walk on the wild side, why dontcha?"